The Easy Strip Butterflies Quilt designed by Jenny of Missouri Quilt Co, The Tutorial is available for free. Jenny Doan demonstrates how to make an easy Strip Butterflies Quilt using 2.5 inch strips of precut fabric (jelly rolls). We used batik Tigerfish by McKenna Ryan for Robert Kaufman. 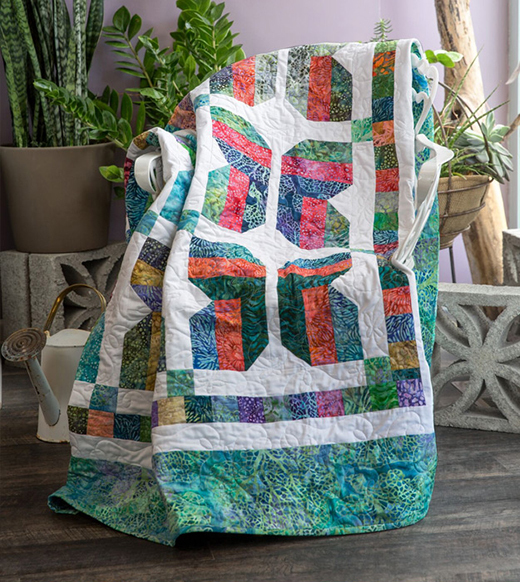 Learn how to make strip sets, make a patchwork border, and add sashing with cornerstones between blocks.